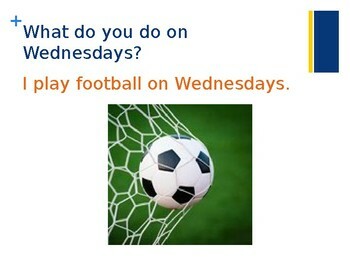 For more ESL and language teaching material, visit The Discover English Store. 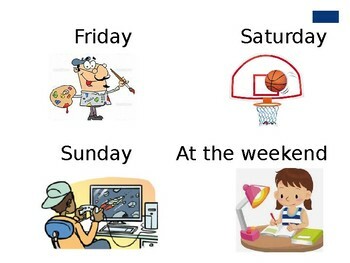 This Powerpoint includes pictures of different activities people may do in their free time, the question "What do you do (on Mondays/at the weekend)?" 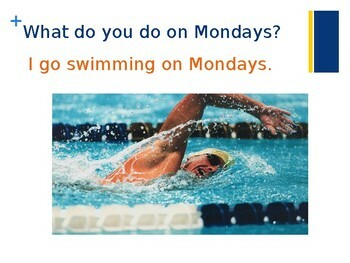 and the answer "I (go swimming) (on Mondays). The last two slides are just pictures labeled with the different days for students to practice asking and answering or to write down the sentences themselves. 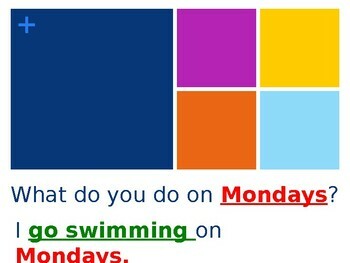 This lesson only covers the first person, "I", but can be edited to include "He/she goes swimming..." etc.